UCF’s football schedule includes a Sept. 10 game in Ann Arbor against the University of Michigan. That sounds like a daunting, though financially lucrative, challenge for a team coming off a 0-11 season. The Knights will need every edge they can get, so maybe a little advance scouting during Michigan’s spring practices would be in order. 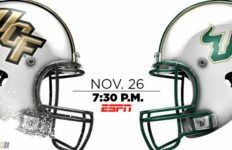 All the Knights would need to do is pop over to Bradenton to see what the Wolverines are up to. That’s right, Bradenton. Last week (Feb. 2), Michigan Coach Jim Harbaugh officially announced the first four spring practices would be at IMG Academy, home to one of Florida’s elite high school football programs. Michigan media outlets, though, had been speculating about the possible Florida move since mid-January. The practices will be Feb. 27-March 6, during the campus’ spring break. For Harbaugh and the Wolverines, the expense of decamping to Florida for a week is more than outweighed by the move’s advantages. For openers, the weather is almost certain to be better in the Sunshine State. But the real purpose is to give his program even greater exposure in Florida, home to some of the very best high school football players in the nation. We recently wrote about Florida having the most players in the NFL. And that has the Southeastern Conference fuming. As CBS Sports and other media have been reporting, the SEC has asked the NCAA to prohibit schools from conducting spring training during their spring breaks. Michigan isn’t mentioned by name, but everyone understands whom the conference is targeting. Just like Michigan’s decision to conduct spring practices in Florida, the SEC’s move makes sense from its perspective. College football is big business now, and the SEC has become the nation’s dominant football conference competitively and financially, in part because it has been able to recruit heavily here. Great players produce great teams, and great teams help the conference land some of the wealthiest television contracts in the land. The SEC’s biggest local competition for talent comes from Florida State and Miami. Though their conference – the ACC – hasn’t officially weighed in, it’s a safe bet it’s standing with the SEC in spirit at least. NCAA bylaws do not currently prohibit a move like the one Michigan is making. Given the time it would take to formally pass a bylaw, it seems unlikely anything could happen in time to prevent Michigan from making the trip this year. And about last night … guess who thinks practicing in warm weather SEC territory is a grand idea? None other than the Spartans’ head coach, Mark Dantonio at remarks he made at the annual Spartan Winter Tailgate at the JW Marriott in Grand Rapids Thursday night. 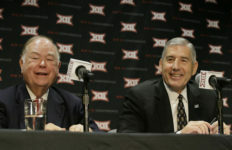 According to SpartanNation.com he mentioned Florida or Texas. So the drama begins in earnest. 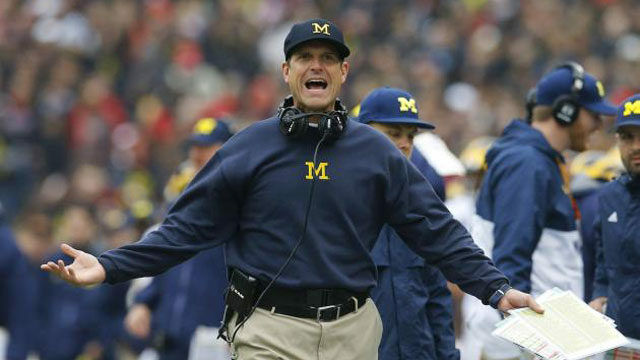 There will be more interest from the Big Ten, Michigan’s conference. And it stands to reason that the Wolverines’ conference foes might not be all that thrilled with the advantages Michigan might get from such a trip. Apparently not according to Dantonio. More to come on this saga. The prestigious HITS (Horse Shows in the Sun) Ocala Winter Circuit events take place from Jan. 19 to March 27 and offers more than $3 million in prize money. Held at Post Time Farm with its 450 lush acres and 52 miles of four-board fence, the events bring in tens of thousands of visitors and a big economic impact. This year is the debut of a $100,000 USHJA International Hunter Derby and also the Furusiyya FEI Nations Cup, the only stateside chance to qualify for the FEI Nations Cup Jumping Finals in Barcelona. 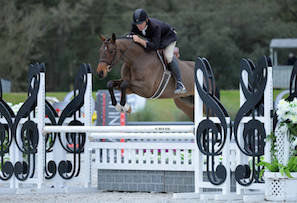 HITS Ocala culminates each March with the Great American $1 million Grand Prix. Why has the City of Tampa just spent $740,000 to renovate Rocky Point, one of its three municipal golf courses? According to Tampa Mayor Bob Buckhorn, it’s a case of put up or shut down. During Rocky Point’s grand reopening this past week, Buckhorn said the city had to keep up or risk losing the course. Buckhorn also said that, though he’d like the course to make money, he hopes that it at least breaks even. The most popular of Tampa Sports Authority’s three golf courses, Rocky Point now sports new greens, Bermuda grass and bunkers. The Authority also maintains Babe Zaharias and Rogers Park. Around 125,000 combined rounds of golf are played annually among the three courses, with Rocky Point atop the leaderboard with around 45,000 rounds played there each year. Gov. Rick Scott, Lee County Sports and the Florida Sports Foundation will host the Governor’s Baseball Dinner on Fri., Feb. 19 at the Hyatt Regency Coconut Point Resort & Spa in Bonita Springs/Fort Myers. Photo Credit: Top image by Patrick Semansky/Associated Press.